How Much Washi Will The Spice Rack Hold? The Spice Rack I have (I have two), will hold approximately 126-135 rolls of washi tape. 14-15 per row, 3 rows in each shelf, 3 shelves in each container. As you can see, the drawers pull out and down, making it easy to see what’s in each drawer and giving you easy access to your washi! 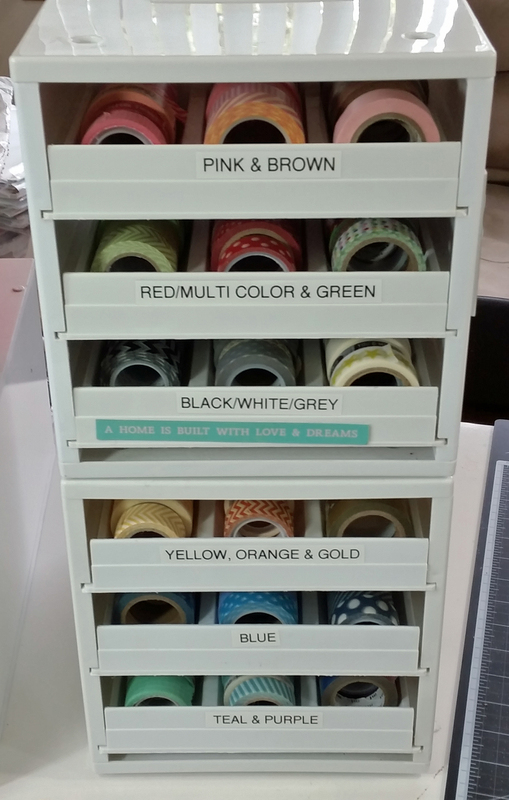 I lined the bottom of each drawer with a piece of white cardstock to prevent any of my washi tape from falling through the bottom of the drawer (which is partially open). I simply cut the cardstock to match the size of the bottom of the drawer, put some adhesive on it and adhered the paper to the bottom of the drawer and voila! I found both of my spice drawers from goodwill (got lucky!) but you can also purchase them online. Here is a link: Spice Stack . They come in black and white and also in a larger size than the one I have here. Below is a photo of the larger one. Here is a link to all of the Spice Stack’s available at Amazon. I did line the bottom of my shelves with cardstock to keep the washi tape from falling through. 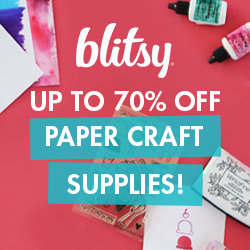 Just take some Scor-Tape and place a sheet of cardstock on the bottom side of each shelf and you are good to go!